How was the band Sanam formed? Venky S: We actually formed our first band in school, back in Chennai. Later, when we all moved to Mumbai, Keshav joined the gang and we clicked immediately, when we jammed in his garage. After winning at our first public performance, at a contest where over 1,200 bands participated, we got a boost of confidence. We soon started to work hard towards building and bringing the independent music scene and band culture back into India.We knew it would be a slow and hard route, but our goal, as a band, was clear. How did you come up with the name Sanam? Sanam Puri: We were initially called the SQS Project (Samar Quesh Sanam), but people thought it’s a construction project! So, we had to start afresh. Our business manager Ben Thomas joined us, and we brainstormed on hundreds of combinations, but they somehow didn’t click. Then, as it happened, once while announcing the name before our gig, we read out, ‘SANAM’. In that moment, it seemed perfect. It is a word used in different languages — Hindi, Urdu, Thai and even Arabic. So it connects with a larger audience. The word ‘sanam’ in Hindi is a term of endearment, meaning beloved. This relates to all four of us as individuals, and the music we make. How would you describe your journey so far, considering that in just eight years, your music has reached over 5 million listeners? SP: We are blessed and fortunate to have so many wonderful people listening to our music. We didn’t think it will turn out this way. Our aim from the start was to make good music, to be happy and enjoy the process of making music. We’re glad to have a growing family like this. The band has even earned tags such as India’s One Direction and Fabulous Four. How does that make you feel? Keshav Dhanraj: It makes us feel loved. We hope to achieve that kind of success too. Digital platforms such as YouTube gave the band a big boost. Do you think digital platforms are the way ahead? VS: Digital platforms have already changed the game. Ben suggested that we start putting out some videos on YouTube, and his advice reaped benefits. We now have a global reach and we are grateful to have so many people from different countries, nationalities and backgrounds following and enjoying our music. How was the Kolkata audience? SP: We love performing in Kolkata! Everyone is so clued into the music. They enjoy, understand and appreciate all kinds of music. A very unique crowd for sure. What was your biggest achievement of 2018? KD: 2018 was a build up for a stronger 2019. We are really happy about what we achieved in 2018. 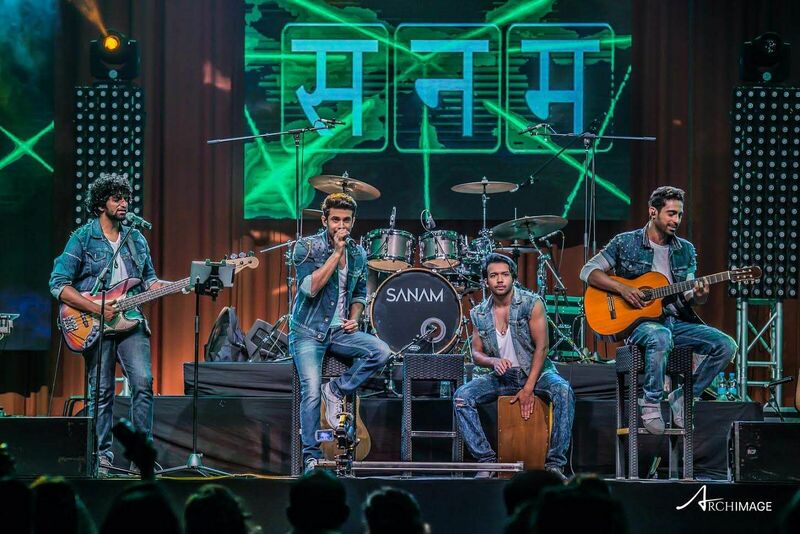 We are excited to share some new, exciting music with all our fans, all through this year, and we also hope to take them through new experiences at our #SANAMlive concerts! What will be your focus in 2019? SP: Lots of new songs, including regional renditions and originals as well. We are also trying a few new things with video. Also, you can expect some really fun collaborations soon! The band has been a part of the campaign #NoWorldwithoutWomen and also spoken up for awareness on child sexual abuse. Why did you feel the need to take up social messages along with your music? KD: We feel that as a band we have a responsibility to bring positivity and awareness about social issues. One of our songs, Shama Hai Jali, also talks about being a catalyst for change. We’ve been a part of the #NoWorldWithoutWomen and #ThingsDontJudge campaigns with a music video called Lakshya that was vocal against female infanticide and female foeticide. We also support a Chennai-based NGO called Justice & Hope. 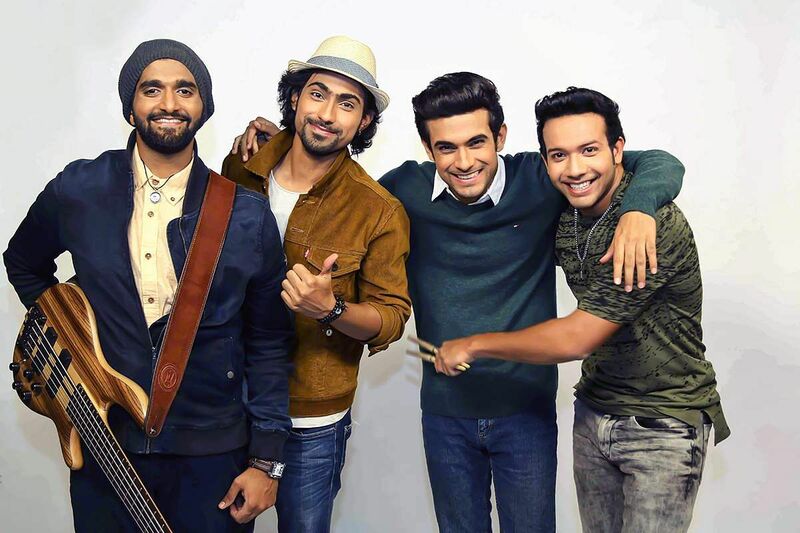 The album Sanam Revolution (2018) features a Bengali song called Tumi Robe Nirobe. What are the other languages that Sanam can sing in? VS: Sanam can actually sing in Spanish and Italian as well. We have a large Bengali fan base across the world, and we wanted to put out another Bengali song to show our appreciation for the love and support we get from our Bengali fans.